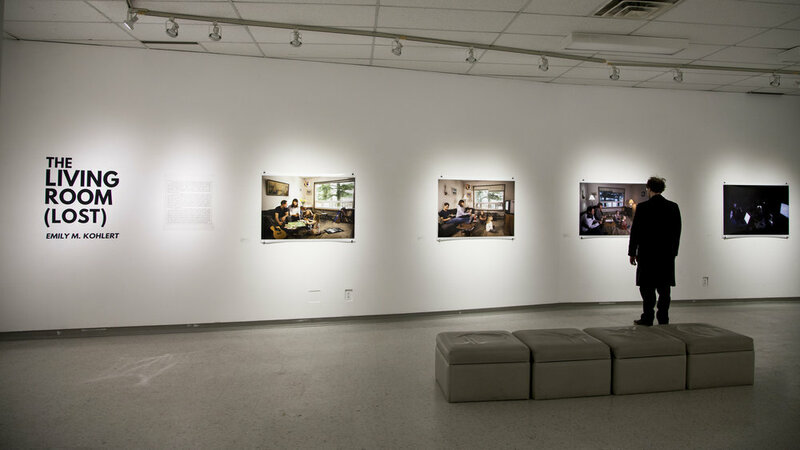 the living room (lost) is an exhibition from 2016. The Living Room (Lost) is an illustration and reflection of my experience participating in a time where smart phones and the Internet went from non-existent to inescapable. Screen technology has slowly been taking over our lives for years, and I am suddenly aware of our grave dependence on it. I began to dream of the world before this intense advancement in hand-held technology was our everyday. In this dream, I arrived at a memory from when I was a child. It centred on my family, living without the distraction of iPads, smart phones, and the Internet. Our living room consisted of a tan colored hide-a-bed couch, a small TV, and some other modest furniture. As a family, we would eat dinner together at the kitchen table, and often retire to our living room for Family Movie Night. The four of us would curl up on the hide-a-bed together, and watch a VHS we’d rented from the video store. At some point, our family dynamic changed. As my brother and I grew older, we got a bigger TV and the hide-a-bed was replaced with a nicer couch. We began to use the living room as a place to eat dinner, the television becoming our conversation. 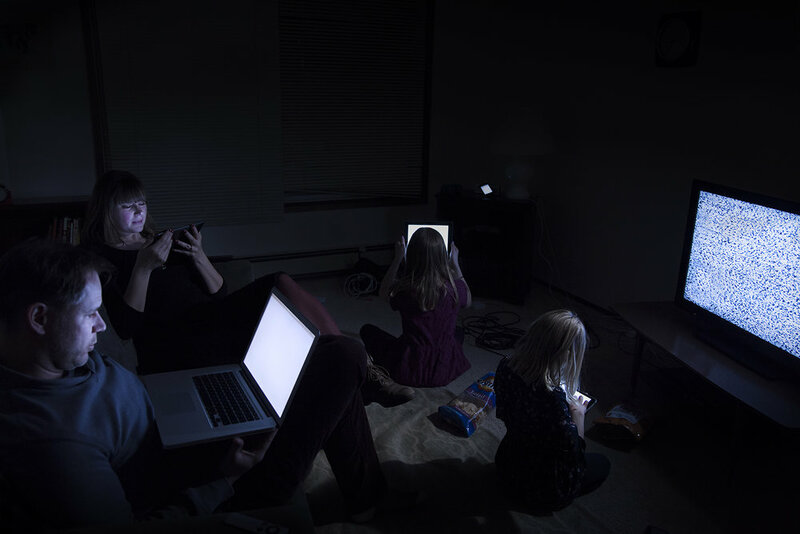 Through photographic depiction, one of the main focuses of this work is to examine how screen technology has changed the way families spend time together now. In my reflection of this, I came to another conclusion about the effects of this immersive technology, and after speaking with a variety of friends, realized how relatable these notions are to everyone. 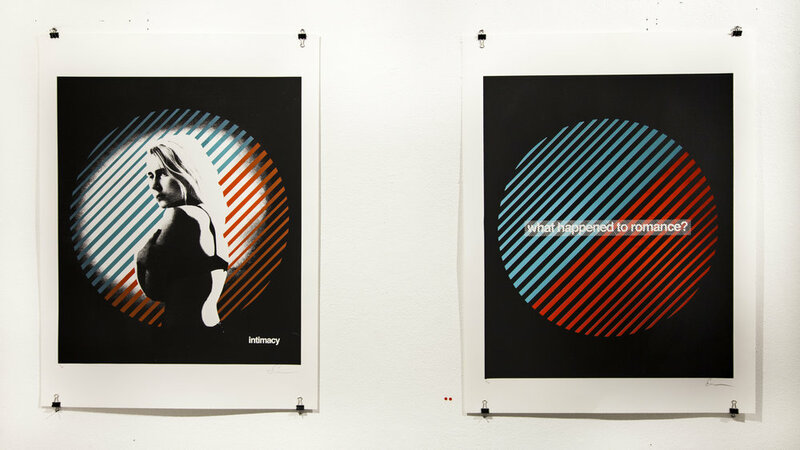 My choice to use text comes from my graphic design background, and the relationship between photography and screen print allows for a merging of technology and hand crafted work. 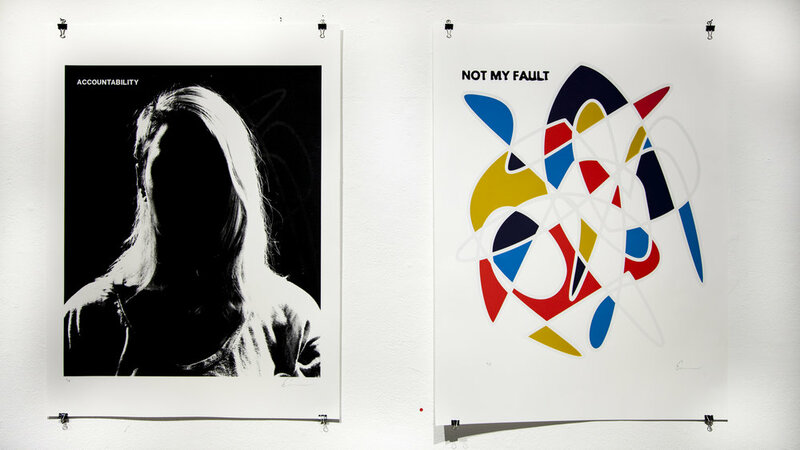 The screen prints pose the question: what are we losing? What parts of ourselves are we allowing to be changed by accepting to live in a smart phone, social media world? For someone my age, it’s often hard to remember that it wasn’t always like this. I can only imagine what it’ll be like for the next generation to grow up in this shiny, plastic world we’ve built for ourselves, and what we’ll lose along the way.